You may provide a service which doesn't exist in the catalog of services available in the 2PS platform. Our members are specialized in Consulting Management. It’s large enough to lead some professionals to collaborate and to refer missions to others consultants, as 2PS concept encourages it. 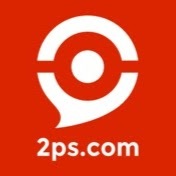 That said, if you want to provide a design and fashion service, you will not find this service in the list of services provided by 2PS Members. However, you can legally provide a consulting service and don't find it in our list. You can submit a new service proposal and we will evaluate if we need to add it to our list of services available and teach our algorithm to recognize this kind of need when potential clients ask questions to our research engine. How to submit a new service? Log in and go select the "Service" tab on the menu. Under the scroller, you will find a link to offer a service, it will lead you to a form to fill. A mail will confirm you that the service has been submitted.